On Wednesday 2 December 2015 British boat builder Fairline collapsed and was placed into administration putting hundreds of livelihoods at risk. On Monday 25 January 2016 it was announced that UK-based Russian businessmen Alexander Volov and Igor Glyanenko had paid around 4.5 million pounds to acquire the assets of ‘Fairline Boats’ and would have a fresh start under the new name of ‘Fairline Yachts Limited’. That very same day, three industry veterans – Russell Currie (Managing Director), Karl Gilding (Business Development Director) and Martyn Hicks (Technical Director) – walked into the head office in Oundle, Northamptonshire, rolled up their sleeves and got on with rebuilding a business and a brand. Russell, a long-time Mallorca resident and Fairline North Mallorca dealer for 20 years, shares the story. The demise of Fairline Boats was plainly visible but when it finally crumpled there was always going to be a buyer. 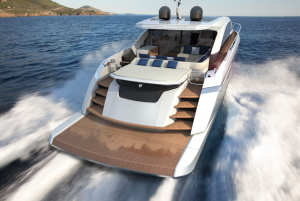 The Russian Fairline dealer introduced two associates – Alexander and Igor – who had already expressed an interest in a shipyard, and they met with Russell and co in London to start talks. These took place during the same week as the 2016 London Boat Show – the first London Boat Show in 28 years that Russell had failed to attend. 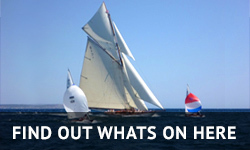 Described by Russell as “humble business guys with interests in media, manufacturing and broadcasting”, these enthusiastic boaters quickly made the move to acquire the British boat builder and tasked the three directors with building up a profitable business. Larisa Bondareva, a Russian national and British citizen, has since become the fourth member of the senior management team in the role of Financial Director. Her native language skills ensure nothing is lost in translation at board meetings – and right now she’s communicating nothing but good news to her compatriots. 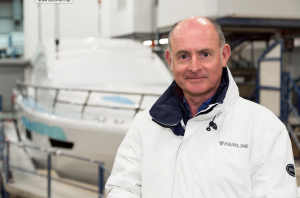 Fairline’s ‘home’ MP, 28 year old Tom Pursglove, currently the youngest Conservative MP, is hugely supportive of the business, a flourishing British manufacturer with 95% of its products going to export. Russell met with Tom and several Parliament colleagues at Westminster last February and the overwhelming response was, “this is a great story, what can we do to help?”. With Brexit looming on the horizon, this kind of endorsement is most welcome. 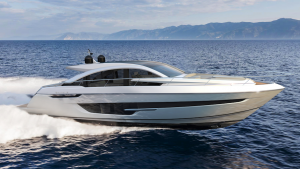 Speaking of new models, Fairline has reengineered some existing models (such as the Targa 53 Open and the Squadron 65) and has a new Fairline generation in the pipeline combining the talents of Italian designer Alberto Mancini and Dutch naval architects Vripack – the first of which, the Targa 63 GTO, is ready for launch in Cannes 2017. 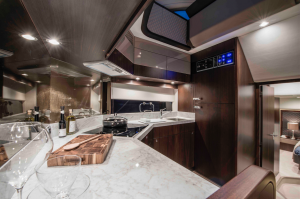 A Targa 43 Open will swiftly follow. Each will be finished by hand to a level of excellence. 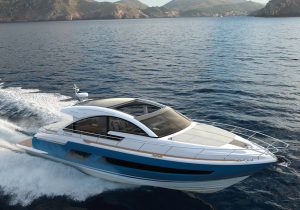 Fairline is keen for its 50th anniversary year to be marked with panache. On 10 June at least 35 Fairlines from Mallorca, Ibiza, Formentera, mainland Spain and even one from Antibes will muster on the outskirts of the Bay of Soller for an authentic Argentinean asado accompanied by live entertainment. 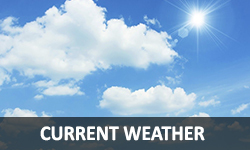 A helicopter will whizz overhead for a few hours capturing memories for all those who attend. 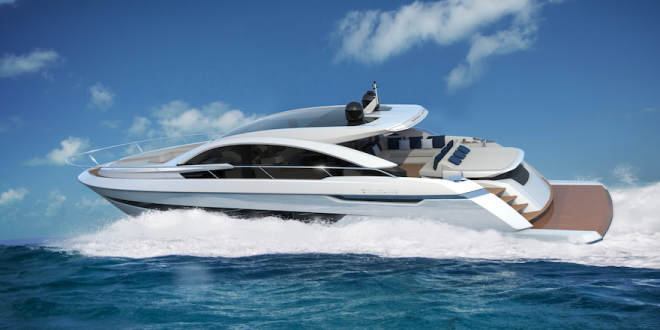 Of course the goal is for a symbolic 50 yachts – the local dealers are working towards this. Back at Oundle, a fun barbecue is planned for 15 July with the management team mucking in behind the bar and taking staff friends and family on behind-the-scenes tours of the factory. In fact dealers from as far afield as Chesapeake Virginia and Cape Town South Africa will celebrate the half-century milestone in their own special way. 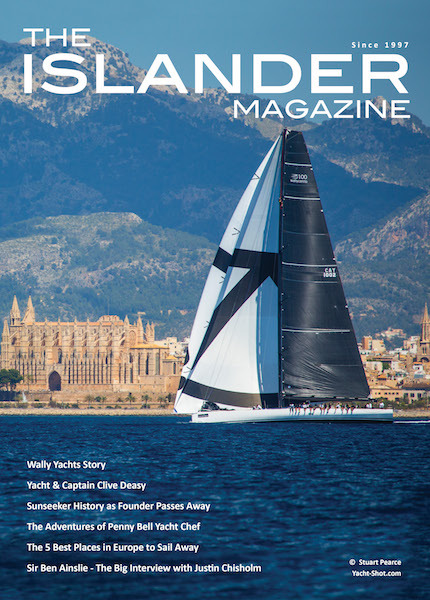 It seems the man from Mallorca has played a masterstroke and helped take Fairline from zero to hero in a matter of months. It goes without saying that we wish Russell and his team every success for the next 50 years in Fairline’s history.